The Pink Tie Affair committee could not have asked for a more beautiful day on the day of the event hosted by the Twin Tiers Region affiliate of Susan G. Komen, on September 22, 2017, at the National Soaring Museum in Elmira, NY. They set out to raise $50,000, after raising an astounding $48,000 last year. As the “Pink Tie Guys” arrived at the 2017 Pink Tie Affair, Michelle Z. Cilip, CEO of AgeLess SPA, couldn’t help but be proud to be apart of such a spectacular event. She helped a wonderful group of ladies with planning and set up, and when the time came, she got ready for the evening by getting her makeup done by Jen at AgeLess SPA, where she typically gets her makeup done before any special occasion she attends. This year for the event, she wore a subtle, but elegant, flapper-inspired dress with pink heels, giving her just the right amount of a pop of color for the Komen cocktail party. Upon being checked in, the “Pink Tie Guys” of the class of 2017, received their signature pink ties, donated by H. Strauss Clothier in Elmira, NY. There was even the opportunity for glider rides, socializing with other attendees, touring the museum, and enjoying the food catered by Serendipity, located in Ithaca, NY. 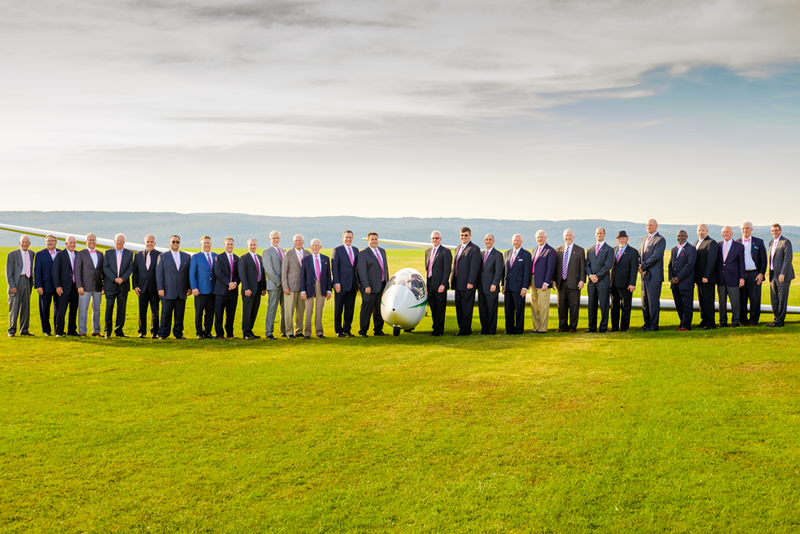 Once all the gentlemen apart of the 2017 “Pink Tie Guys” class arrived, they gathered for a group photo, taken by the talented Chris Walters photography. Shortly after the photo opportunity, the event began where they recognized all of the “Pink Tie Guys,” whom of which are a group of well-respected corporate, healthcare and civic leaders from our region. “I told Michael, it’s overwhelming how grateful the Pink Tie gentlemen are to be apart of the event,” Michelle said, “It’s truly moving to see their dedication and support,” with so much passion in her eyes. In addition to recognizing the “Pink Tie Guys,” an auction was held, where many businesses and artists generously donated spectacular items to support this great event. One person took home AgeLess SPA’s donation, which included three SPA services valued at $500. Michelle first attended the Pink Tie Affair when Dr. Cilip was invited to be a “Pink Tie Guy,” three years ago. After, she knew she very much wanted to get involved with this spectacular organization. This is her second year on the committee and she without a doubt will be returning for many more. It’s easy to get on the committee, and they welcome everyone. There are about ten people on the committee, and many have been affected by breast cancer one way or another. It’s a way to be involved within the community in making tremendous strides in raising awareness about breast health and breast cancer, as well as raise funds for breast cancer screenings, treatments, and education.